Born and raised on a farm near Cummins, Peter Treloar MP is a fierce and devoted advocate for the Eyre Peninsula. Peter went straight into agriculture after finishing school (at Cummins Area School and Prince Alfred College) where he enjoyed a long and rewarding career. From this he has a particular understanding of small business and the pressures the sector experiences. Peter believes that the natural environment underpins our communities. On Eyre Peninsula the issue of water security is forefront, and one of his first achievements as an MP was to instigate, through Parliament’s Natural Resources Committee, an Enquiry into the Eyre Peninsula Water Supply. His leadership on a variety of industry boards, including Primary Producers SA, Grains Council, Nuffield Australia and EPNRM, has provided him with strong skills in mediating between government and industry groups. Peter was awarded a Nuffield Scholarship in 2002, enabling him to travel extensively and research value-adding opportunities for Australian grain, and grain industry structures. Peter has held a variety of roles during his time as the Member for Flinders, including being the Shadow Minister for Emergency Services, Veterans Affairs and Volunteers, Leader of the Opposition’s Parliamentary Secretary, Shadow Cabinet Secretary and Opposition Whip. He is currently the Deputy Speaker and Chair of Committees with the current State Government, a role he is relishing. While he is member of various government and volunteer organisations, he is the patron of the Cummins Show, W&CH Auxiliary Port Lincoln branch, Mentoring EP and the Mortlock Shield, to name a few. Peter and wife Annette reside on the family farm at Edillilie. 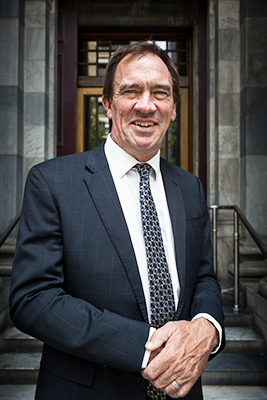 Tony Irvine has been a Chief Executive Officer in Local Government from 1993 to 2018 (except for a break of twelve months in 2011 where he managed his own consulting business). He is a member of the Australian Institute of Company Directors, an Associate of the Institute of Municipal Management, member of the Local Government Managers of Australia and a Justice of Peace. Tony has held many positions on state and national committees whilst employed in the Local Government industry. He has also held various other local and regional committee and Board positions mainly including sport, government and local community interests. He has also had an interest in his family agricultural and hospitality businesses from 1980 to 2006. 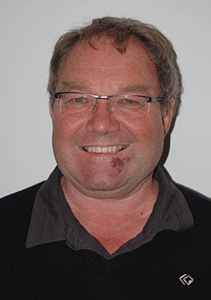 He is one of the founding directors of the Eyre Peninsula Community Foundation and was extensively involved in the establishment of the foundation.